Search engine optimization -- also known as SEO -- is usually considered a process designed to get a website higher rankings in natural search engine results. What do I mean by "natural" search engine results? As you can see, my site shows up as the #1 "natural" or "organic" search result. You'll see that Google places ads above and to the side of these natural results, and ads are another topic. You have to pay for ads each time they're clicked, but you never pay when your natural result gets a click. This makes high "natural" rankings extremely valuable for your business! Of course that same site would never show up for a term like "business writer" because it's not a business writing website. So when we talk about SEO, we're talking about getting better search engine rankings for a website, but only for terms related to that website. And of course that's really all the visibility you care about -- being seen when people are looking for what you offer. I should briefly mention that, just because a website gets a high natural position in search engine rankings doesn't totally mean it's free. It might be "free" if you've not had to put any effort into getting that position. But the more competitive a keyword -- which usually means the more it's searched and the traffic you can get from it and therefore the more valuable it is for you -- the more likely you're having to invest either time or money in search engine optimization to get that position. With ads, you pay every time someone clicks on the ad and visits your site. 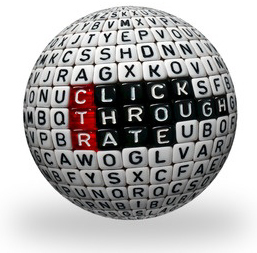 This is called PPC, or "Pay Per Click." With SEO, you don't have that kind of cost. But you still have the time or money spent on search engine optimization efforts. And unlike ads, it takes time to see the results of these SEO efforts. 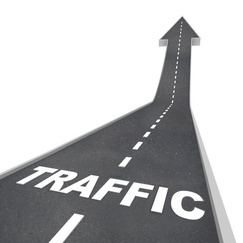 Both types of traffic can be valuable, but are different kinds of investments. I'll talk later, however, about additional benefits of SEO and how it can also help with ad results. To me, SEO is about more than just rankings though. Yes, an optimized site should climb the ranks of natural results, and so it should be seen more often. But an optimized site should also look better in search engine results. And I mean it should look better to human eyeballs and get more clicks. This is called getting a higher CTR, or Click Through Rate. You see, part of SEO is making changes to something called "metatags," and this is explained more in my article, "Search Engine Optimization Tips" (including how they're made). But in short, these are often used by search engines to show a title and short description of a website, and if these are used wisely, they can encourage more clicks when someone is looking at several search results (your site being just one of them) and deciding which site to visit. In the example above, my meta title would be "Wedding Speeches - Your Speech Writer." My meta description is, "One of the original and most experienced wedding speech writers online. Helping with wedding speeches since 2002." Of course the goal here is to establish trust, since anyone can claim to be a speech writer, but few have this kind of experience. In the other natural result showing, the site doesn't talk about experience, but does talk about balancing humor and sentiment, which is also important in a wedding speech and may appeal to someone browsing search results. On the other hand, they've also used the British spelling "humour," and this may turn off those who are looking for an American writer (but attract those looking for a British writer). The point here is that you don't just want to be seen. You want to be visited. And SEO done right should help you with this. But also Not Just "CTR"
If your search engine ranking and all other factors were to stay the same and Click Through Rate were the only variable able to change, then you would always want CTR to go up, because it means that you're getting more traffic for the same amount of people seeing your site link in search engine results. But you should recognize that other factors are not staying the same. In reality, CTR could go down and still be a good thing. I could give several examples, but I'll just give one to make the point. Then you can keep this in mind when looking at your own statistics in the future. To keep things simple, we'll imagine that your site is just showing up in Google for just one phrase that people search frequently. If you're on the first page of search results, then your CTR is going to depend on how high up you show on the page. If you're in the first position (#1 natural ranking), you might get a 30% CTR if your metatags show people that you have the result they're looking for. But in the second position, you might only get 15% and in the third you might get 12%. This is because most people literally work their way down the page to click on results that they find appealing, rather than reading the whole page and clicking in order of the best titles and descriptions. So those in positions 8-10 on that page of results (those with the last results on the search results page) are likely to get the lowest CTR, although they've had as many impressions as those at the top of the page. You see, once the page loads, everyone has received an impression. Their search result has shown up once. But those at the bottom of the page have seldom gotten a click because -- since people often don't scroll down the page -- they've not been seen as often. So their CTR is low. Now it's rare for someone to go past the first page of search results, but of course it does happen. When someone does go beyond the first page, the same sort of thing will happen: they will tend to click on the first results of the next page. So those in positions 11-13 will get more clicks on that second page than those in positions 18-20. This means their CTR will be very high. But understand that while 11-13 will have a nice looking CTR, they are getting very few search engine impressions because few people are visiting the second page of results. So someone in positions 8-10 -- those on the FIRST page of results -- will get more impressions but a lower CTR. Still, they will probably get more visits or more traffic than someone on the second page. So someone with a lower CTR might be getting more visits, and the key here is visits. (The real key is quality visits, and that's a separate item to consider from this example.) Someone who has invested in SEO in order to move from positions 11-13 to 8-10 may well see their CTR drop because they're now at the bottom of a search results page; but their visitor numbers might climb. And of course their hope will be to continue climbing the search rankings towards 1-3 so they can get even more visits. And as that happens, then indeed CTR is likely to improve as well. I won't go into all the ways that SEO is accomplished, since this article is focused on what SEO is. Suffice it to say that some of the work is done on your website and some is done elsewhere on the web. It also involves social engagement / interaction with your website and other factors. But while I won't go into the "how" in this article, it's useful to point out the "why," since this further helps to explain what search engine optimization really is. Once again, we recognize that SEO helps you to get more visibility in search results and more clicks from those results. Another benefit, though, is that SEO can help to develop a stronger brand and drive better conversions. How can SEO do this? Once upon a time, there were a bunch of techniques designed to just trick search engines and to get better search rankings. These are called "black hat" techniques, and they're a really bad idea for any long-term business because they can get you black listed and you can do well today and then your traffic plummets tomorrow. The search engines have gotten better and better at sniffing out garbage and rewarding sites of high quality. After all, people using the search engine want good results, and if they don't get them, they'll try another engine. So today's best SEO techniques involve creating a site full of useful content, a quality user experience, and often interaction with the user. 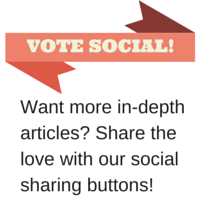 (Why I'll love it if you care to "share" this article with the social buttons!) In some cases, this means the user becomes part of the brand building process; and the improved experience can certainly drive more sales. So search engine optimization today isn't just about search engine rankings. It's intimately tied with the entire process of building a website. And for this reason, if you're hiring SEO help, this help ought to be able to work directly on your website or with your website team to make sure your overall digital marketing goals are being pursued in a unified way.